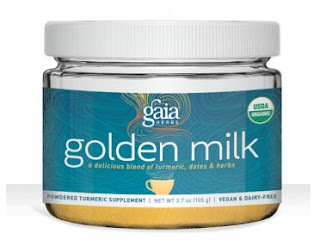 Have you ever heard of Golden Milk? Yeah, me neither until I went to a blogger event sponsored by Sprouts Farmer's Market. This time, we went to a Sprouts store in Denver where a nutritionist told us all about the benefits of turmeric. I hesitated signing up for this one because I'm skeptical of some of the health claims attached to certain food products. I don't deny that the food we eat can affect our health, but when one single food product is supposed to cure everything ... that's when I begin to wonder if someone's just trying to sell a product. 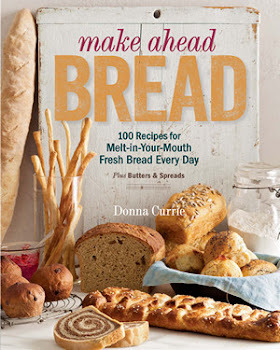 Because of course you're usually supposed to consume an excess of the product, to the point where there's no way you could eat that much in recipes. So they want to sell you pills and whatnot. What I liked about the presentation is that it was pretty level-headed. There are some ongoing trials with the active ingredient in turmeric that show promise in treating or preventing certain diseases. In countries where turmeric is used almost daily, there are lower incidences of certain diseases. But, she said, the trials aren't complete. She also said that turmeric in contraindicated for certain people, like those on blood thinners. Or pregnant women. And she also said that while using turmeric in amounts that are normal for cooking is fine for just about everyone, if you're planning on taking it in theraputic doses, you should be monitored by a doctor. Which is perfectly sensible, since anything that's got enough ... oomph ... to have medicinal qualities is probably also strong enough to have side effects. So anyway, I'm convinced that turmeric is probably good for me. And I know it's tasty. One of the products we got in our goodie bag was a jar of Gaia Golden Milk . This sort of thing is often consumed in a warm, milky beverage with added fat to make the turmeric do good things in a more effective way. In India (allegedly) something like this is consumed with buffalo milk and ghee. Neither of which I have. So this happened. Make the hot chocolate as usual. Any way you like it. Buffalo milk, regular milk, goat milk, almond milk. Whatever. Stir in a heaping teaspoon of the Golden Milk Powder and mix well. The verdict? I thought that the Golden Milk Powder made the hot chocolate a little bit gritty, but I liked the flavor a lot. Unfortunately, a spice like turmeric doesn't really dissolve, so the grittiness is to be expected. I think it might actually be better in something thicker. Like, for example, chocolate pudding. Or a chocolate shake. Or ice cream. I'm not sure if those are the best uses, health-wise, since I think it was designed for use in a warm beverage. But I think the flavor would be great in something like a chocolate banana smoothie. I'm going to be experimenting a bit more with it and the other Gaia products we got. If I come up with something that's too good to be ignored, I'll post about it. Thanks to Sprouts and Gaia Herbs for sponsoring the event and providing supplies to play with!